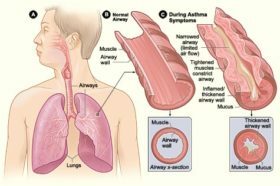 What Is Asthma And How It Can Be Treated..?? Asthma is a chronic disease involving the lungs airways and is a very long term illness that has almost no cure. It makes the airways inflamed and blocked leaving very little space for air to flow in and out of the lungs. Inflammation makes the airways very swollen and sensitive. Every 1 in 12 persons suffers from asthma i.e. about 25 million suffers from asthma, according to a survey. Almost 2, 50,000 die every year due to asthma. Asthma treatment is very necessary to cope up with this deadly disease. 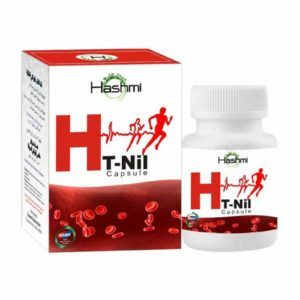 Hashmi’s Bronkill capsules are the best herbal medicine to fight with asthma. It is made with 12 special and rare herbs that are clinically tested and proven. It is a successful medicine that helps you fight acute asthma. After regular use you will witness progressive results that sooths you from within. These Bronkill capsules have proven to be unbeatable in treating asthma well. This medicine is a blessing in disguise for many asthmatic patients as it helps them in the breathing process. Wheezing – The high pitched whistle sound produced in respiratory airways while breathing is recognized as wheezing. It causes difficulty in breathing. Sensitivity towards certain irritants – People with allergic asthma tends to get very sensitive when exposed to the irritants. These irritants are dust, dander of animals, pollen, etc. Inflammation and swelling in the airways of the lungs – When exposed to these irritants the airways gets inflamed and swollen which leaves very less space for the air to flow from airways into and out of the lungs. Coughing – Coughing is the primary and basic problem that every asthmatic person faces. Chest tightening – Chest tightness is the feeling when you feel very heavy or tight on your chest and could not breathe properly. It comes along with all the other symptoms but many asthmatic people suffer just chest tightness as the only symptom of asthma. 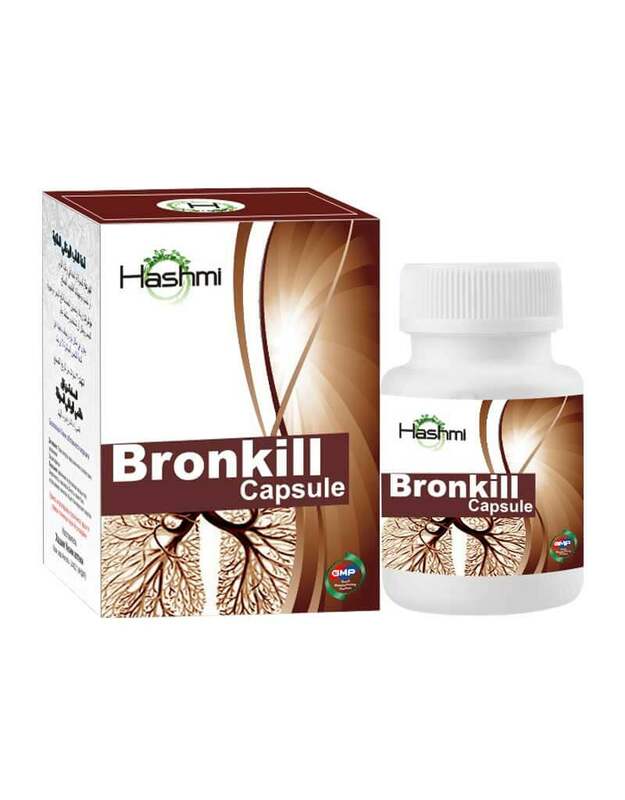 The best herbal treatment available for asthma in the market is Dr. Hashmi’s Bronkill capsules. It is the safest medicine because it does not possess any kind of side effects. Bronkill capsules are the best remedy when it comes to fighting asthma as it helps in resolving the consequences that are caused due to asthma. The worst consequence is the difficulty in breathing. Not able to breathe properly is the worst outcome of asthma as it makes the person go crazy and helpless. 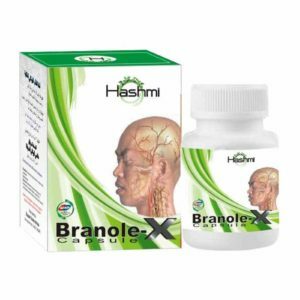 Bronkill is one such medicine which helps in clearing the congested airways. It also heals the inflammation which causes swelling in the airways which is the main reason of the narrow airways. Narrow airways imply that there is very less space in the airways for the air to flow into and from the lungs. It also improves and strengthens the immune system and balances the salt of the cell. It is the perfect medicine for all the issues related to asthma. 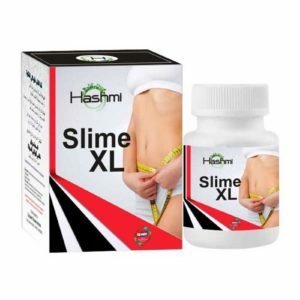 Many people have trusted this medicine and have achieved desired results after using this regularly as prescribed by the doctor. 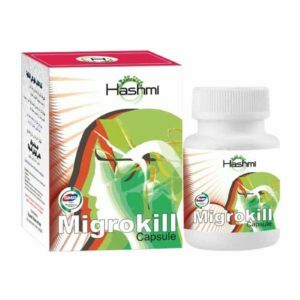 This medicine is perfect for the person who had suffered a lot due to asthma and tried every possible thing for the relief but their efforts have gone in vain. This is a soothing medicine, a remedy for such persons. 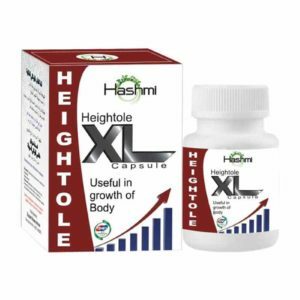 Dosage – Take 2 capsules daily, one after your breakfast and one after you dinner. For detailed descriptions you can contact our specialist doctors. 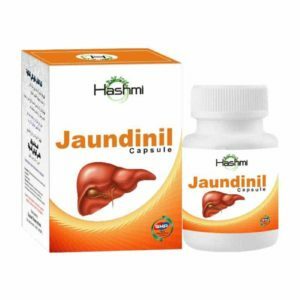 Quantity and duration of the course – This pack comes with 30 capsules and this medicine is a course for 60 days generally but the duration of this course may vary depending upon the condition of the patient and severity of this disease. Q1. How often should I take this medicine? Ans1. Take one capsule in the morning after breakfast and one in the night after dinner. For more detailed explanation contact our specialists. Q2. Is this beneficial for all the age groups? Ans2. Yes it is suitable for all age group be it an adult or an old age person. 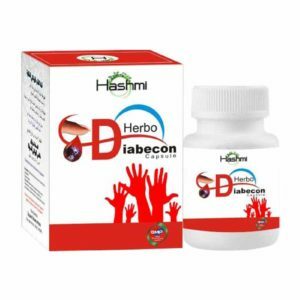 This medicine is designed to cater the diverse need of the bodies of people in different age groups. It relieves the patients from all the symptoms of asthma no matter what the age of the asthmatic person is. Q3. How long should I continue taking this medicine? Ans3. Normally this medicine is a course of 60 days and rest depends upon the condition of the patients. Contact our doctors for the best consultation regarding this medicine. Q4. Are there any side effects? Ans4. This medicine does not possess any kind of side effect. It is an herbal medicine made from 12 featured herbs that helps in fighting the consequences caused by asthma. Q5. I suffer from non-allergic asthma would this work for me as well? Ans5. This medicine is appropriately designed for every kind of asthma be it allergic asthma or non-allergic asthma. It fights the symptoms of wheezing, coughing and breathing problem. For proper detailed information you can contact our specialists in this regard. Q6. I am pursuing a homeopathic treatment for asthma can I take this medicine with my homeopathic medicine? Ans6. No, taking two medicines simultaneously for one cause would not be instructed. Taking two medicines would rather harm instead of being beneficial. You must try Bronkill capsule it is very effective and cures the disease completely.